Researchers at the Swedish Umea University have shown that if you place semiconductors polymers on a layer of graphene, they transport electrical charges more efficiently than when the polymers are placed on a silicon substrate. 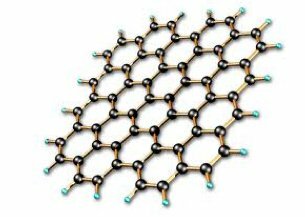 This discovery means that graphene can enable more efficient charge transport in organic electronics such as OLEDs or OPVs. The same research also revealed another interesting result - the charge carrier mobility of a thicker polymer film (50 nanometers) was about 50 times higher than that of an ultra thin one (10 nanometers) deposited on graphene. Graphene to enable simple electrochromic displays?